Spotlight (2015) – WHO IS THE MAN FROM KRYPTON? 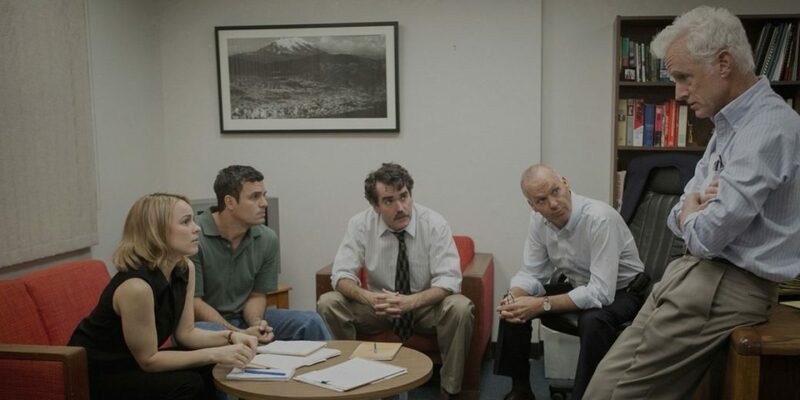 ‘Spotlight’ is based on a true story about a multiple decade cover up by the Catholic church in Boston and a team of reporters trying to uncover this corruption and bring it to light. The team of reporters, known as “Spotlight”, hence the title, added with the double meaning of shining a light onto this utterly disgusting situation. While the film is based on real events, and it is absolutely commendable what the real reporters did and went through to uncover this travesty, the script is dull and very derivative, held together purely by some fantastic performances. If it were not for such a brilliant and powerful cast, the film wouldn’t have felt as powerful, it wouldn’t have received such critical applause and it might have possibly floundered. This is especially apparent when you compare the film to ‘Doubt’ starring Meryl Streep, the story purely focused on one priest but it was far more gripping and interesting, while unfortunately this film meandered and squandered such great potential. The films second act is pretty tepid, especially compared to the amount of interest that was built up in the first act and the release of energy in the third act, the second act just lulls and feels as though it was there to pad the runtime. While this represents the lulls in the actual events, it wasn’t captivating as a piece of film, it lacked tension or anything else other than a feeling of “going through the motions”. The story itself is very interesting and filled with great moments, certain revelations, genuine feel good moments and then it is also smattered with some genuinely heartbreaking realisations which when delivered by such powerful performances just really ring true for the film and make for a mostly entertaining and fascinating watch.